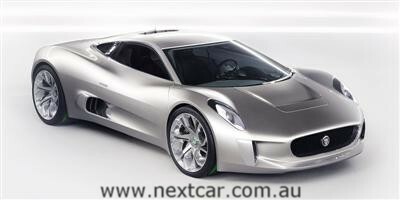 Jaguar has confirmed that it will launch the remarkable C-X75 concept car as an exclusive hybrid super car. Jaguar C-X75 will become the British marque's most advanced model to date. It will offer performance on a par with the fastest production cars on the market, while adopting cutting-edge technology that offers remarkably economical running. Jaguar expects this hybrid super car to deliver incredibly low CO2 emissions of less than 99 g/km. "People expect Jaguar to be innovators - that is when Jaguar is at its best," said Adrian Hallmark, Jaguar Brand Director. "The C-X75 received an incredible reception as a concept car. We've been building on that momentum and there is a clear business case for this exclusive halo model. No other vehicle will better signify Jaguar's renewed confidence and excellence in technological innovation than this." Project C-X75 will be the ultimate expression of Jaguar design and engineering innovation. This high-performance hybrid super car will stay true to the initial concept design study that made its debut at the 2010 Paris Motor Show, while fulfilling requirements that allow it to be homologated for road use. "We were always determined that the Jaguar C-X75 would be as striking on the road as it was in concept form," said Ian Callum, Director of Design, Jaguar Cars. "This will be the finest looking and most innovative Jaguar ever produced. Even in the world of super cars, we can still produce the most beautiful." In an unprecedented move, Jaguar C-X75 will be developed in association with Williams F1 who will provide their engineering expertise in areas including aerodynamics, carbon composite manufacture and hybrid technologies. This association will be at the leading edge of British automotive engineering and innovation. "Confirmation of this project today sign posts Jaguar Land Rover's continued determination to embrace new technologies," said Jaguar Land Rover CEO, Dr Ralf Speth. "A super car like the C-X75 is the logical choice to showcase cutting-edge design, intelligent use of new environmental technologies and motor sport inspired performance." It also marks a new milestone in both company's histories as Jaguar Land Rover and Williams collaborate for the first time to produce one of the world's highest performance and environmentally sustainable super cars. The production of Jaguar C-X75 will provide more than one hundred highly-skilled jobs in the UK. A direct technology transfer between elite motor sport and road-going production cars is key to C-X75's success. The super car's chassis will be made of carbon-fibre to provide an incredibly lightweight, yet rigidly strong structure. Aiding the transition from concept to production vehicle is the choice of powertrain. Jaguar continues to develop the use of the micro-turbine technology that was showcased in the original concept C-X75. Jaguar's parent company Tata Motors has taken a significant stake in Bladon Jets, and will develop this very advanced technology as a medium-term aspiration that will play a part in Jaguars of the future. To bring Project C-X75 to showroom reality within the timescales of a conventional model programme, an equally innovative powertrain had to be developed. The road-going super car will use a state-of-the-art, small-capacity, highly-boosted internal combustion engine with one powerful electric motor at each axle. "The engine's compact size allows it to be mounted low in the car for optimum weight distribution and to retain the concept's stunning silhouette. This will make the Jaguar C-X75 a bona fide hybrid super car capable of silent electric running with an extensive EV range in excess of 50 km," explained Bob Joyce, Group Engineering Director, Jaguar Land Rover. When C-X75's motors and combustion engine combine, it will be one of the fastest production cars in the world, with a sub-three second 0-60 mph time and a top speed in excess of 200 mph. Crucially, this performance will be generated alongside incredibly low emissions, with a target of less than 99g/km CO2, thanks to Project C-X75's lightweight construction and cutting-edge powertrain technology. Williams F1 has been at the forefront of motor sport engineering for three decades. The project engagement on Jaguar C-X75 is testament to the team's ambitions and will bring together two leading lights of the UK motoring industry. "Our new association with Jaguar Land Rover provides us with an exciting opportunity to work with one of the motoring world's most famous and iconic brands," said Sir Frank Williams, Chairman of Williams F1. "Williams has always considered itself an engineering company and so this project will allow us to combine our technical expertise to create something truly exceptional." Jaguar C-X75 will redefine the customer experience, and will set new standards in sales and after-sales services that will be recreated across the range in the future. Only 250 examples will be built, each costing between an expected £700,000 - £900,000 depending on market and local taxes. "Never before has the company launched such an ambitious, world-beating vehicle programme," said Carl-Peter Forster, CEO Tata Motors. "This is the Jaguar of the future. The opportunity for innovation like this in the UK is part of the reason Tata Motors invested in Jaguar, and it's fantastic that products like the C-X75 can become reality."